Ladies and gentlemen, are we in the midst of a golden age of horror movies? Whilst Jason Blum and his House are keeping the mainstream effectively moving along (The Purge, Insidious, Happy Death Day et al), the last couple of years have also given us the likes of such modern classics as The Babadook, It Follows, Get Out, The Witch, A Quiet Place, and now, you can add Sundance breakout Hereditary to that list. 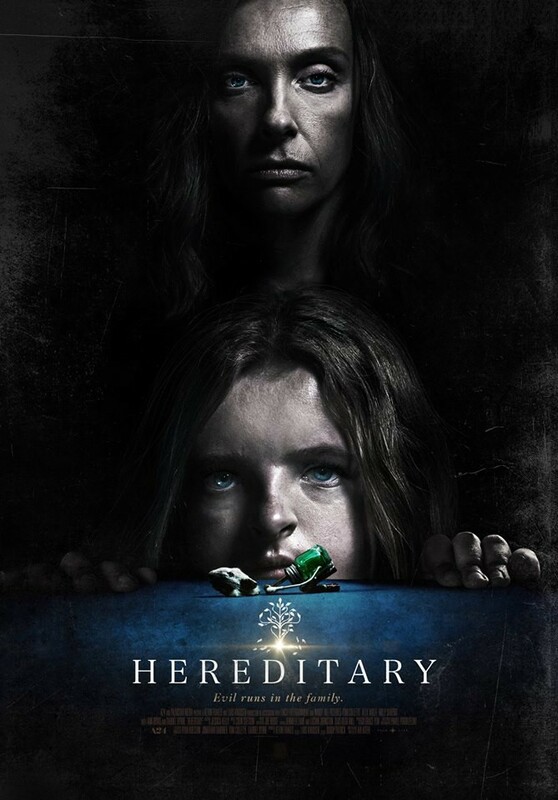 Led by a bravura, ballsy performance from the great Toni Collette, Hereditary is a film drip-soaked in mounting tension, a slow burn that builds with such almost hidden intensity that you won’t know your nails are gone until there’s nothing left to chew. Ari Aster’s masterful feature debut builds slow creeping menace from its very first frame, pacing itself perfectly as it slowly reveals what might be a ghost story? A possession tale? A deep dive into an insane mind? A new take on Rosemary’s Baby? As his family horror-drama unfurls, at times it could be any or all of the above. What it definitely is is an assured piece of classic horror filmmaking, one that knows how to use its soundscape, finding genuine dread in its silences, never resorting to the jump shock to scare its audience, luring them in instead with the power of suggestion and the genuine disquiet of the profoundly unnerving image. Colette’s mother has recently died. An unbalanced unloved woman she influenced power over her granddaughter Charlie (a dark, unnerving Shapiro) who dies in a graphically grisly manner shortly after, in part due to the actions of her guilt-ridden older brother (an impressive Wolff.) As the family essentially falls to pieces, the forces of evil move in and begin the battle for their souls. Aster delivers his very scary movie at a deliberate slow pace, but knows exactly how to build it up, in a manner that is cumulative, as if he is gradually accelerating a car at a constant level, something you know is going to end in a tragic crash. Images, items, even ideas are drip fed and returned to throughout in a very satisfying manner. But more than anything, Aster has made a movie that shows the modern horror film is capable of greatness. It will linger with you, you will think about it later, you may well discuss it with friends. Hell, it may even make you wake up screaming. Hurrah!